The U.S. Citizenship & Immigration Services (USCIS) opens the new H-1B filing period on April 2, 2018 for employers who intend to sponsor a first-time H-1B worker during the next federal fiscal year (i.e., October 1, 2018 to September 30, 2019). Given the finite supply of H-1B visas, employers are strongly encouraged to apply on this date to secure their H-1B visas for the upcoming year. This is of particular concern for workers who are currently on F-1 student visas using Optional Practical Training (OPT) work authorization as well as foreign-born employees who have never held H-1B status. How many visas? USCIS grants 65,000 new H-1B visas per federal fiscal year to employers for positions requiring at least a Bachelor’s degree in a specialty field, of which 6800 visas are reserved for nationals of Chile and Singapore and the remaining 58,200 are available for all nationalities. An additional 20,000 new H-1B visas are also available for employees with Master’s degrees from non-profit U.S. universities or colleges. As in years past, USCIS will almost certainly receive more H-1B petitions than there are available slots during the first few days of the filing window, triggering a random selection process to determine which petitions will be accepted for processing. We recommend that employers canvass their workforce and potential recruitment pool immediately to determine who is likely to need an H-1B status in the upcoming federal fiscal year. Who does not need to file? It is important to note that the upcoming filing period does not apply to employees who already have H-1B visa status. It also does not apply to “cap-exempt” H-1B employers such as institutions of higher education, nonprofit organizations affiliated with higher education institutes, and nonprofit research organizations. Physicians with Conrad 30 J-1 waivers are also exempt from the H-1B cap regardless of the nature of their employer. Cap-exempt employers and physicians with waivers may obtain H-1B status at any time during the year. For those who are unfamiliar with the H-1B program, USCIS grants H-1B visa status in three-year increments, for up to six years, to qualifying foreign workers. The H-1B employee is authorized to work only for the employer that filed the petition. Assignments to offsite work locations and third-party clients are generally not allowed unless the H-1B employer maintains a traditional employment relationship by supervising and controlling the work of the offsite employee. Employers must offer a salary that meets the prevailing wage for the position in the specific geographic area, satisfy certain mandatory notice requirements and abide by all federal, state, and local employment and workplace safety laws. IMPACT: Since the supply of H-1B visas is finite, demand will likely outstrip the number of available H-1B visas. In order to obtain a new H-1B visa for an employee, employers are strongly encouraged to file their petitions on April 2, 2018 or risk being unable to employ the candidate in the coming year. Please contact Eric Ledbetter at (312) 715-5018 / [email protected] for more information. ISSUE: Tax Cuts and Jobs Act Surprise: “Time’s Up” on Confidential Settlement of Sexual Harassment Claims? Hidden among the many new provisions passed by the Tax Cuts and Jobs Act is a little-publicized provision that appears to be a direct response to recent news regarding high-profile settlement of sexual harassment claims, both in the public and private sectors. Previously, settlement payments and attorneys’ fees arising out of an employment dispute were deductible as business expenses under Section 162 of the Internal Revenue Code. A new provision contained in the new tax law now prohibits these types of deductions if 1) they are related to the settlement of sexual harassment or sexual abuse claims; and 2) that settlement is subject to a non-disclosure agreement. The new provision leaves open several questions about how broadly the provision applies to settlements of claims “related to” sexual harassment and/or abuse. For example, it does not address the possibility that employees may allege sexual harassment claims ancillary to other, unrelated claims, such as race or gender discrimination claims, and the extent to which settlement payments under such a situation could be deducted. It is also unclear whether the provision would prohibit the deduction of settlements containing a general release of all claims (including any claims of sexual harassment or abuse) even if the employee’s claim was unrelated to sexual harassment or abuse. Finally, a question still remains whether attorneys’ fees incurred prior to settlement (e.g., for investigating and responding to a sexual harassment complaint) should be treated as “arising out of an employment dispute” and therefore would not be deductible under the new tax provision if the ultimate settlement includes a non-disclosure agreement. IMPACT: Employers should be aware of this new tax provision as they handle employee claims moving forward and be prepared to weigh the desirability of deducting payments made for settlement of sexual harassment claims with the utility of keeping such claims strictly confidential. For more information, please contact Otto Immel at (239) 659-5041 / [email protected] or Ashley Sykes at (239) 659-5049 / [email protected]. ISSUE: OFCCP Audit Letters Are Coming; Are You Ready? On February 1, 2018, the Office of Federal Contract Compliance Programs (OFCCP) issued letters, which are called Corporate Scheduling Announcement Letters (CSALs), to contractors selected for audit. CSALs are not audit letters, but letters OFCCP issues at least 45 days before OFCCP sends letters to establishments selected for audit. Contractors have 30 days to submit their affirmative action program (AAP) after receiving the audit letter, which is called a Scheduling Letter. That means contractors that receive a CSAL letter will have at least 75 days' notice to get their AAP ready. Any contractor receiving a CSAL letter should hop to it and start working on the affirmative action plan to ensure it is ready for submission to OFCCP. The OFCCP will begin sending scheduling letters for audit on March 19, 2018. Any establishment that received a CSAL, concluded an audit, or concluded progress report monitoring resulting from a conciliation agreement or consent decree within the last five years is excluded from audit. The OFCCP has stated that it will not grant any extensions for routine business reasons and any extension would be limited to 15 days. IMPACT: Spend the time to get the plan together, if it's not already done. If it is done, flyspecking the plan before submitting it will make any OFCCP audit go more smoothly and quickly. In his career, Ondray T. Harris has worked for Virginia and U.S. Departments of Justice, for the Public Employee Relations Board as the Executive Director, and briefly as a partner in a private law firm. Harris began working in the Department of Labor in 2017 in the Employment Training Administration (ETA), where he led an initiative to assist private industries and states with creating apprenticeship programs. In May of 2016, the Occupational Safety and Health Administration (OSHA) issued its final rule “Improve Tracking of Workplace Injuries and Illnesses” to revise its existing recording and reporting regulation. The final rule requires certain employers to electronically submit to OSHA injury and illness recordkeeping data included on the 300A, 300, and 301 forms (except for those fields that contain personally identifiable information). Covered employers include those with 250 or more employees that are currently required to keep OSHA injury and illness records, as well as employers with 20 to 249 employees that are classified in certain industries, listed here, which include those with historically high rates of occupational injuries and illnesses. As we previously reported, OSHA’s electronic reporting deadline faced several delays as the agency worked to finalize the rule and secure its online injury tracking application. OSHA has since finalized the electronic reporting deadline, and all covered employers must submit their workplace injury and illness information to OSHA by July 1, 2018. Covered employers with 250 or more employees are only required to provide their 2017 Form 300A summary data to OSHA’s Injury Tracking Application, which can be accessed here. IMPACT: Employers should be aware that OSHA is not accepting Forms 300 and 301 information at this time. 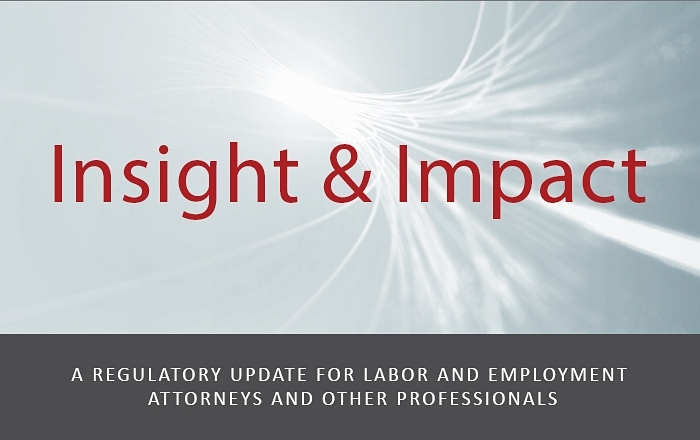 OSHA announced that it will issue a notice of proposed rulemaking (NPRM) to reconsider, revise, or remove provisions of the electronic reporting final rule, including the collection of the Forms 300 and 301 data. OSHA has also specified that the following OSHA-approved State Plans have not yet adopted the requirement to submit injury and illness reports electronically: California, Maryland, Minnesota, South Carolina, Utah, Washington, and Wyoming. Therefore, employers in these states are not required to submit their summary data to OSHA. Beginning in 2019 and every year thereafter, covered employers will be required to electronically submit their workplace injury and illness information to OSHA by March 2. For more information about OSHA’s electronic reporting requirements or to begin preparing for the July 1, 2018 submission deadline, please contact Fred Gants at (608) 283-2618 / [email protected].